Whenever I hear 80s new wave duo Tears for Fears, the first memory to pop in my mind is watching Donnie Darko after high school at my friend’s home. Their slow, electronic beats and exaggerated vocals always fit with that one panning shot at the school. What I don’t connect them with, however, is one of the bands I would listen to when driving to my friend’s house in the first place, Arcade Fire. 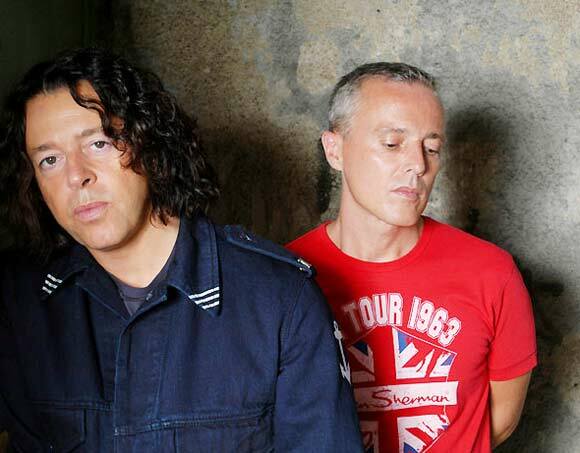 Turns out Tears for Fears are back in the studio recording Everybody Love a Happy Ending, a follow-up to their 2004 reunion record, but did a cover of Arcade Fire’s “Ready to Start” before getting to work on their own material. The cover is surprisingly good, turning the music into their own electronic sound without ripping it to shreds. In fact, it makes you wonder if the two will work together in the future; it wouldn’t be that odd to hope for. Hear the cover after the jump. Meanwhile Arcade Fire are dropping weird clues about their new album, Reflektor, which is currently supposed to come out October 29. Based on the talent and writing on their past albums, there’s no reason to think this next one won’t be another jem in their crown.